Once you have the key elements organised for your wedding like venue and all main suppliers you will begin to think about what colours to use on your wedding. For some brides choosing a theme/colour is so easy and something they have been thinking about secretly for years. But for others, it takes a little investigation to find a style that is right for you. First thing first, go back to the venue and look at the walls, floor and general décor – you don’t want to pick a theme of lilac in a red gothic building. 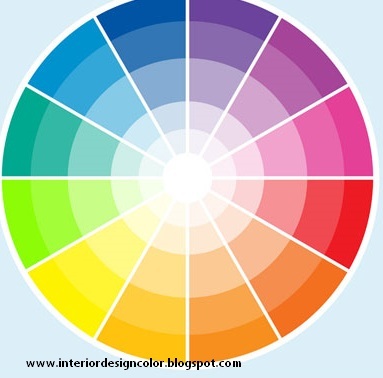 Then speak with the venue about what colours looks great in their building. Think about what colours suit your bridesmaids, not everyone can wear baby pink after all! If unsure book a session with a colour stylist. Meet with a florist and look at flower choices, not every flower comes in a range of colours so if you have a favourite flower you might be limited to the colours it comes in. Be brave with your colour combinations, there are some amazing choices available if you are willing to go for it and not be swayed by outside influences. Look at some of the palettes on The Perfect Palette blog to give you some inspiration. Use a colour wheel to see easily how opposites attract or play it safe ‘side by side’! Have the courage to be imaginative – don’t just team a colour with ivory or white, think about what other colours blend well to make a gorgeous combination. Visit interior designer blogs to see what fabrics and colour are on trend as frequently interior design and wedding design cross over. If you are having difficulty choosing the perfect colour and design many planners will offer a design consultation whereby after asking lots of questions on you and the venue they will suggest a design and colour for you. Black and White is still popular a-la Hollywood glamour both in weddings and on the catwalk. Team with turquoise to soften the look or stand out with fuchsia pink.